We are open to the public and all are welcome anytime between 8 am and noon. 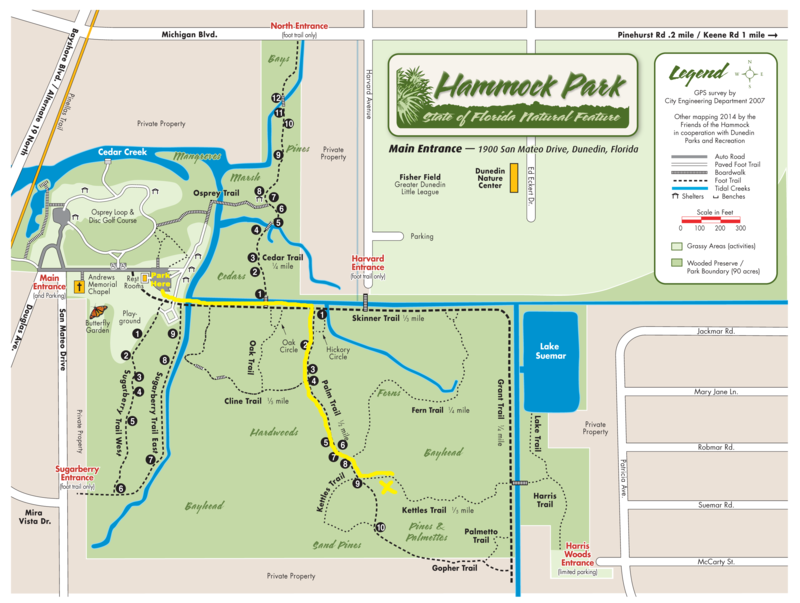 Please join us at Hammock Park (1900 San Mateo Drive, Dunedin, FL) any of the 6 banding dates. Just park behind the St. Andrews Chapel/Butterfly Garden. Click on the map for a larger image, and follow the path marked in yellow to the X on Kettles Trail.